In the 1930’s building development in Croxley Green and the consequential increase in population convinced the current vicar of All Saints’ Church, Rev. Percy Langdon that another church hall was required. Consulting the Bishop of St Albans it was agreed that a site in Malvern Way be purchased in 1936 for £450. The foundation stone was laid on 19th April 1937. Local residents were invited to purchase and lay a brick for the new building at the price of one shilling. This proved popular. Modesty required that the ladies, due to the nature and the fashion of their skirts, were invited to place their bricks on the lower level wall to the north, whilst the men had to climb the scaffolding on the east side. Many years later, cracks appeared to the northern wall which was found to be due to the weight of the roof and no reflection on the standard of work of the female builders! The name St Oswald’s Hall, decided by Rev. Percy Langdon, was initially unpopular with parishioners until he explained that St Oswald’s who had been King of Northumbria AD 605-42 re-established Christianity in the north of the country and died in defence of his faith similar to St Alban the first Saint in this country also to be martyred. 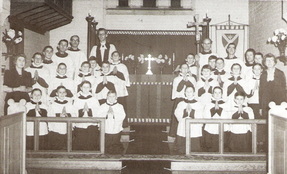 A dedication service took place on the 12th October1937 and the first regular service was held the following Sunday 17th October and was well attended as was the Evensong. The new hall was also used for social occasions. 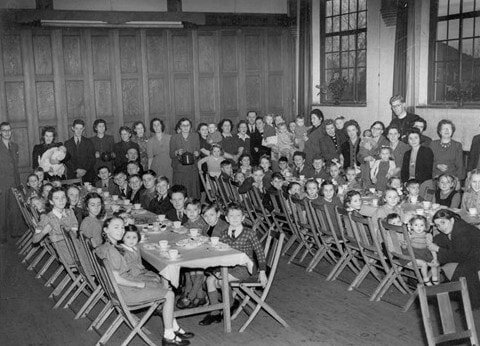 In 1940 the church hall was used as a school for evacuee children from London‘s All Souls’ Langham Place. Their Headmistress also came and during this period became choir mistress of St Oswald’s. This was a time when St Oswald’s became a hub of activities for the local community. During the day it was a temporary school owing to the number of families moving into the area plus the evacuees from London. In the evenings many clubs and organisations met either in the hall or side rooms. 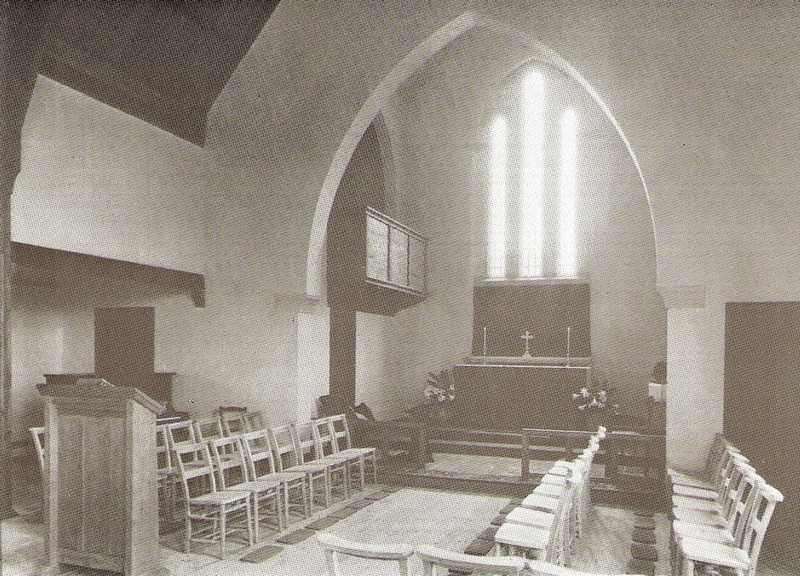 On Sundays the hall reverted to church services and Sunday school meetings. With so many men folk away during the war, the ladies played an active part in the various activities. They formed knitting and needlework working parties to raise funds, putting their finished articles up for sale. One special achievement came about when they knitted a complete set of team stockings for the Watford Football Club. 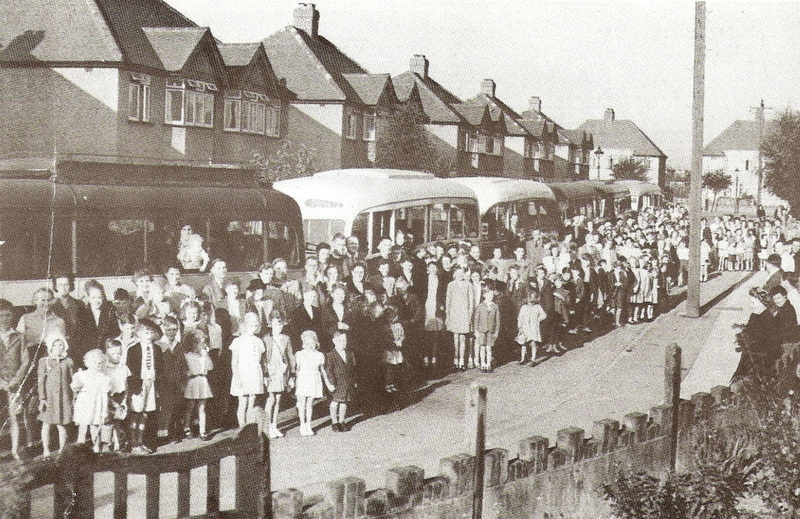 World War Two celebrations included a victory party for the children as in other areas of the village. 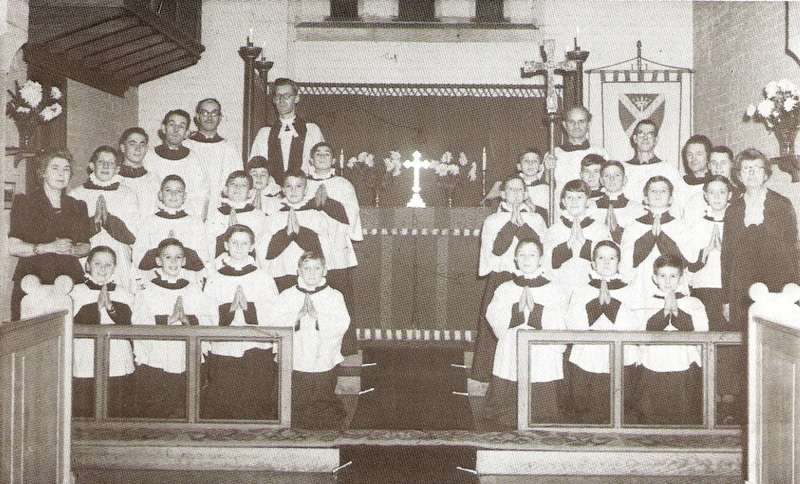 Following the end of the war in May 1946, St Oswald’s was granted its own District, becoming independent from All Saints Church, and could perform marriages etc and the Rev Wilkinson became the first priest in charge. It was thought that land nearby would be an ideal location for a second parish church and a site costing £2,200 known as Port’s land was bought following an appeal to find the funding for the estimated cost of the building. (Mr Port lived in 173 Baldwins Lane) Children were encouraged to help by collecting “ship halfpennies” (this was a design on the reverse of the old pre decimal coinage) A target of 25,000 coins was suggested and in 13 weeks 9,000 were collected and many months later a staggering 72,602 realised even though their were still many restrictions after the war on many basic commodities, a trip to Bognor in 1947 was arranged for the Sunday School children in September. Rev Wilkinson, visiting Hoddesdon one day came across a stone font laying in the local church yard. Making enquiries it became apparent that its present use was as a temporary container used by the grass cutter when tidying around the graves and the top edge was used for sharpening the scythe or sickle. The Rev Wilkinson managed to salvage it, have it cleaned by a stone mason and installed in St Oswald’s in 1948. 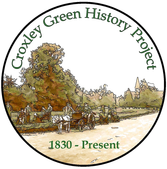 Between 1937 and 1949 the population of Croxley Green had risen from about 4,000 to 10,000 and it was felt that the original agreed District of St Oswald’s should become a parish in its own right and separate from All Saints. This was eventually settled and the boundaries set in early 1956. Plans for a new hall that were drawn up by local builder Mr Pitkin were passed and about this time a parsonage house was also purchased at 32 Winton Drive. St Oswald’s celebrated its 21st anniversary in 1958 and in a letter to all the residents living in the district Rev David R Read invited them to make donations towards the cost of the new church hall. 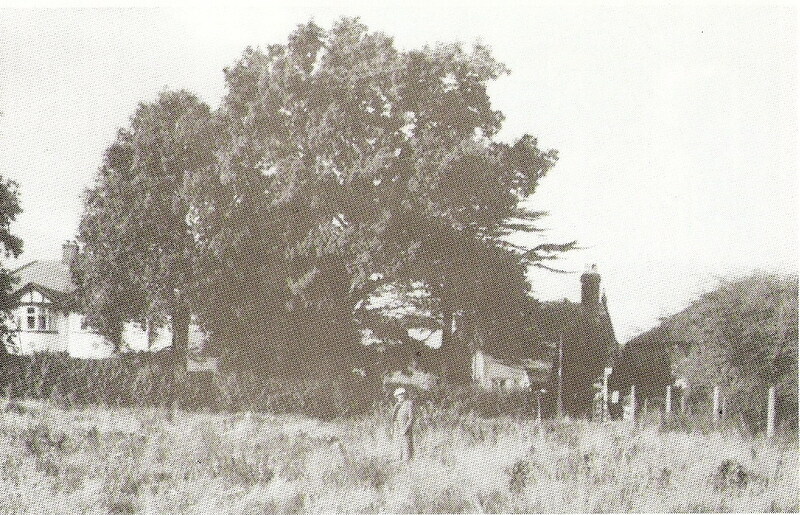 Monies were also achieved by the sale of excess land that had been acquired earlier and a new vicarage was built and ready for occupation in 1959. The proceeds from the sale of the house in Winton Drive helped with the building funds. 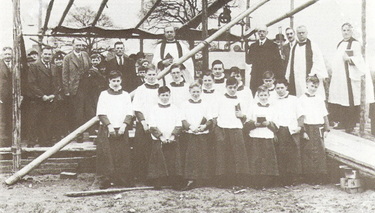 Whilst the building of the new hall proceeded, structural plans took place for the conversion of the original hall to the new church. 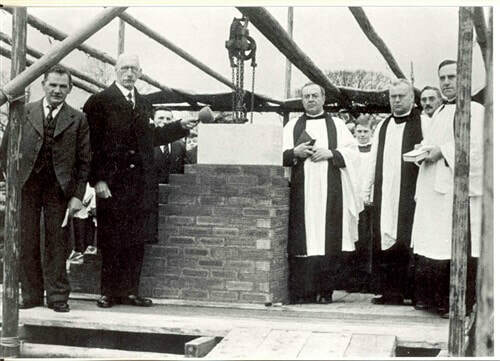 The building programme completed, the official opening of the new hall took place on 15th January 1961 by the Bishop of St Albans and the consecration of the new church the following year on 27th January 1962 by the Right Rev Basil Guy, Bishop of Bedford. A special key for the opening of the new hall was obtained by a member working in Hatton Garden London who also repeated the offer of a key when the consecration of the original hall to a church conversion was completed. The bell was housed for convenience in a chimney stack of an old modified boiler house. It seemed to have a mind of its own and would sometimes toll randomly! Eventually the old chimney stack could no longer support the bell as cracks appeared in the brickwork and in the early 1970’s it was removed for safety. Some years later the bell was assessed as built by John Briant of Hertford weighing one hundredweight. In recent years (2011) the bell was given over to the Watford Museum. 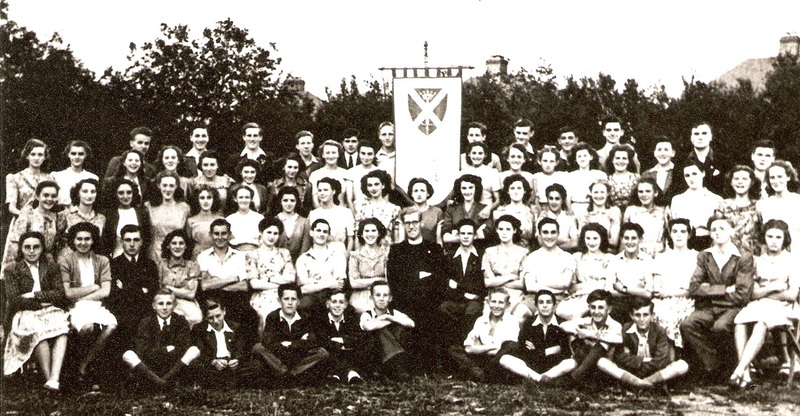 Regular functions were held at St. Oswald’s, such as dance evenings and many groups and societies made full use of its facilities. In 1966 a music society called the Chanticleers was formed and performed to packed audiences. Land unused on Port’s ground site was redeveloped for sheltered accommodation and named Shaftesbury Court including 23 flats as well as 2 for disabled persons. Accommodation was also included for a warden and a guest room for visitors. This was opened on 23rd April 1986 by Richard Page MP and the Rt Rev John Bernard Taylor, Bishop of St Albans. 1987 saw the 50th anniversary of St Oswald’s with many activities that year for its celebrations and a special exhibition showing the development from the beginning. 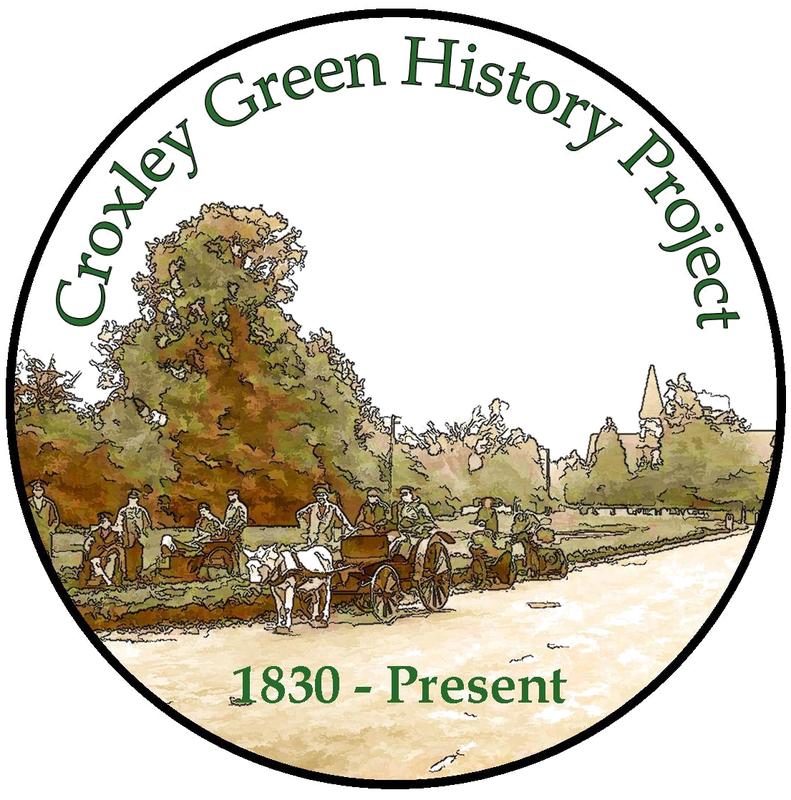 A week of activities was also supported by residents of Croxley Green. Over the years many improvements have taken place and the social side of church life has kept pace with the demands of a progressive modern village. 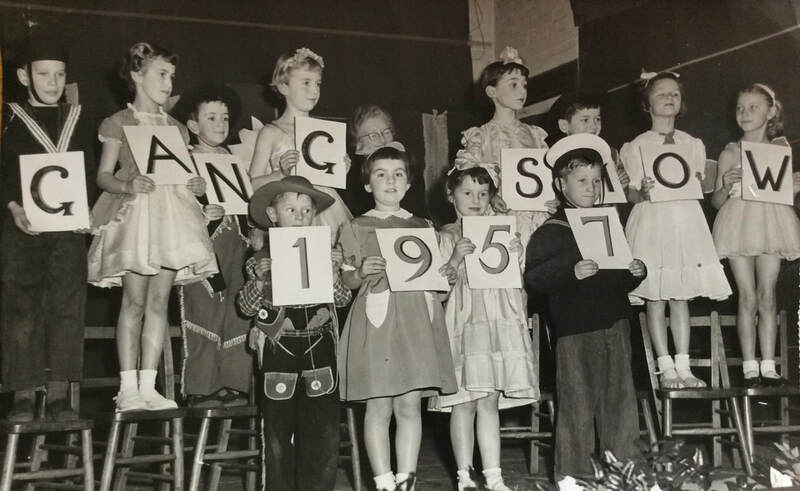 © c1959 The Gang Show at St Oswald's. Ann Johnson is No 9 -can you name anyone else?